SINGAPORE: Local telco M1 on Tuesday (Feb 17) launched a new student fund to provide supplementary support to students from low-income families. The schools will have the flexibility of deciding how the funds will be best used to assist their students. 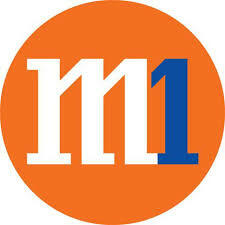 The telco’s first financial aid fund will continue for at least two years, an M1 spokesperson told Channel NewsAsia. Some principals from these primary schools have already come up with plans to use the funds. Mrs Chandriko Mano, Principal of Xinghua Primary School, said it would channel the funds into building literacy. “We can use some of the funds to purchase additional reading materials for the pupils. This will ensure that the students have ready access to interesting and age-appropriate reading materials both at home and in school to help them develop the habit of reading, which in turn will improve their literacy skills,” she said. Mr Lim Chew Hiong Richard, Principal of Si Ling Primary School, added the fund would bolster Ministry of Education (MOE) efforts to support the needs of financially-challenged students.